What Symptoms Accompany a Seizure in Dogs? In the main seizure phase, the dog either loses consciousness or suffers from a state of altered awareness, according to VCA Animal Hospitals. A grand mal seizure that involves a loss of consciousness is also usually accompanied by spastic tremors or rigidity that pose a risk of injury. Before a seizure, a period of altered behavior known as the aura occurs, during which the dog may appear anxious and hide. Other dogs seek out their owners during this phase, according to Canine Epilepsy Network. These odd behaviors are sometimes attributed to the fact the animal is aware that something is wrong. The seizure itself, also known as the ictal phase, lasts anywhere from a few seconds to around five minutes. A full tonic-clonic or grand mal seizure is accompanied by unconsciousness and uncontrolled stiffening and relaxing of the muscles. This causes spasmodic effects, and the dog may also soil itself or drool excessively, according to About.com. The dog usually falls over at this point, and its legs move wildly despite it being otherwise paralyzed. Seizures of this type that last longer than five minutes are known as status epilepticus, and they are considered to be emergencies. The pet should receive medical help immediately. Seizures that involve altered consciousness do not generally cause muscular symptoms, but they may cause the dog to growl or snap at nonexistent objects or display other uncharacteristic aggressive behaviors, About.com notes. After the seizure, there are often symptoms such as disorientation, pacing or even temporary blindness, explains VCA Animal Hospitals. Bodily fluid issues may also continue, particularly in terms of excess saliva. The symptoms of this phase have no set duration, and they seem to have little connection to the severity of the seizure. How Can You Tell If Your Dog Has Diabetes? What Are Some UTI Symptoms in Dogs? 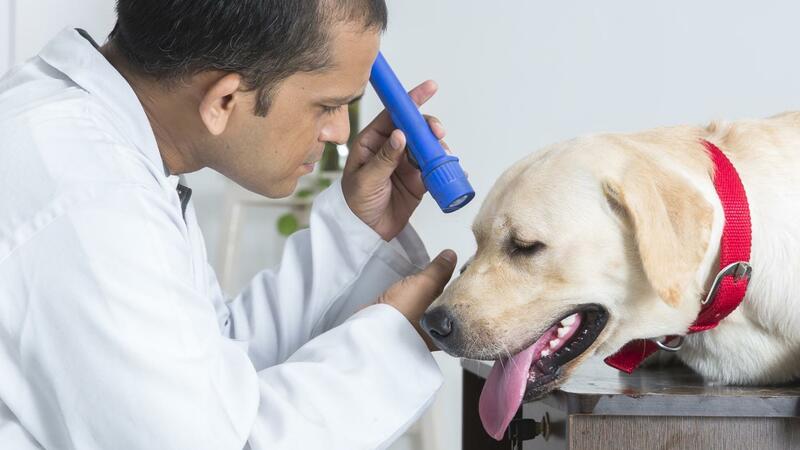 What Are the Symptoms of Mini Strokes in Dogs? What Are the Signs and Symptoms in Melanoma in Dogs? How Do You Remove Porcupine Quills From a Dog? What Are the Symptoms of Poisoning in Dogs? What Are Some Rabies Symptoms in Dogs? What Are the Symptoms of Worms in Dogs?